Item number 2814/55 from the MOA: University of British Columbia. 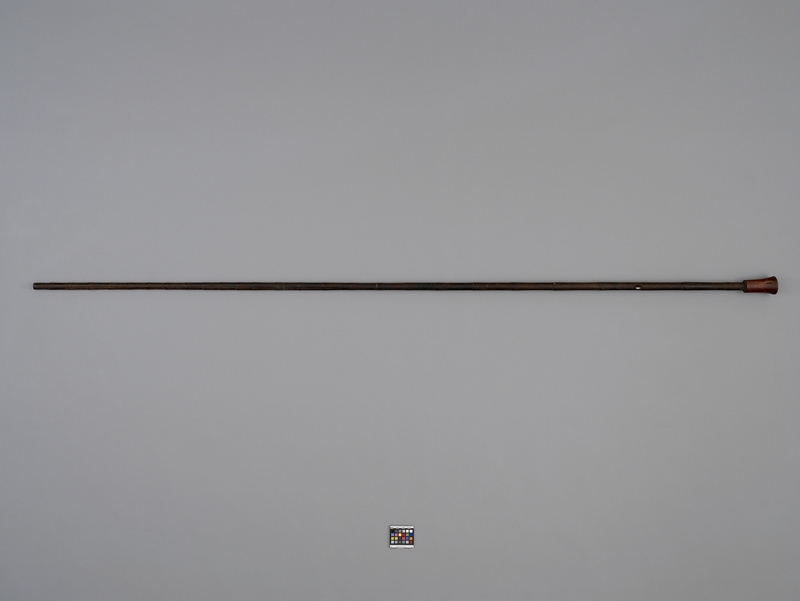 Blowgun with long, cylindrical, hollow shaft. Shaft is circled by ever-closer naturally occurring growth rings from top to bottom. Close to the shaft’s top is a rounded protrusion of resin holding 2 thin strips of wood ? orange and white in colour. The hollow mouthpiece is carved of a red tinted wood and flares toward the top. It is attached to the shaft with resin. A thin ring of fibre is attached to the shaft at the centre bottom with resin. 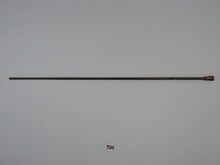 A second round hollow tube has been inserted into the end of the blowgun.